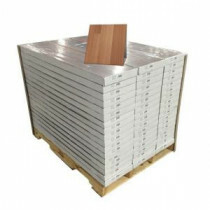 Buy online Light Cherry Block 8 mm Thick x 11-2/5 in. Wide x 46-1/2 in. Length Click Lock Laminate Flooring (942.99 sq. ft./pallet) 904071-51P and leave review or share with Your friends.